Almost everyone around the globe appears to be embracing the approach of fall. Falling leaves, cooler days, soups and sweaters and all things pumpkin. In my part of the world though, we are well on our way to Summer. But, since we're so blessed with great weather and an abundance of fruit and veg all the year round, we are still getting a fair bit of pumpkin. But I think it is nearing the end of pumpkin season. 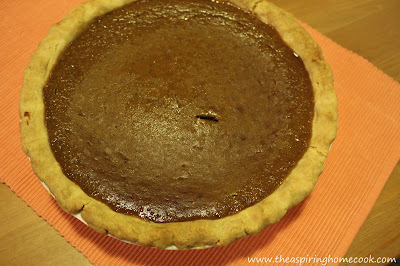 I realized I had never made or tasted pumpkin pie. I know right! That, I am glad to report, has officially changed. Over the weekend, I bought some pumpkin, made my own pumpkin puree, the filling and the pastry from scratch. Hang on, don't run away. It sounds like a lot of work, but it really wasn't. 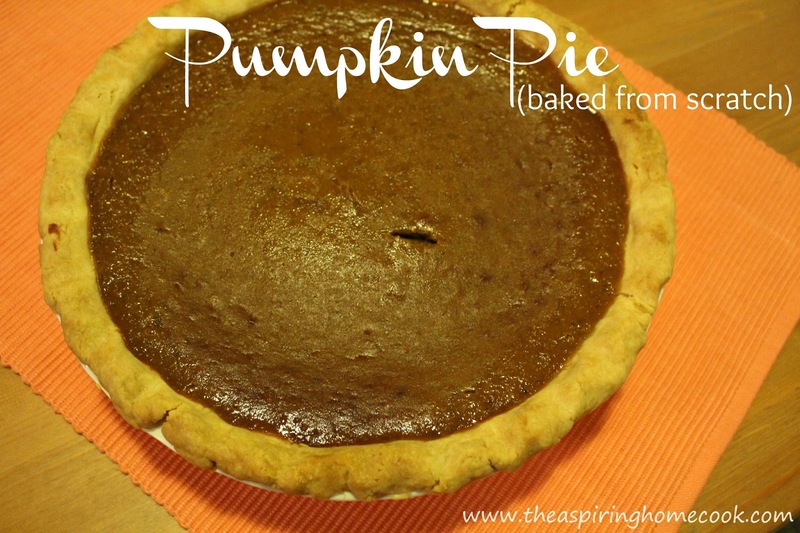 I roasted the pumpkin late one evening and the next day I made the pie. 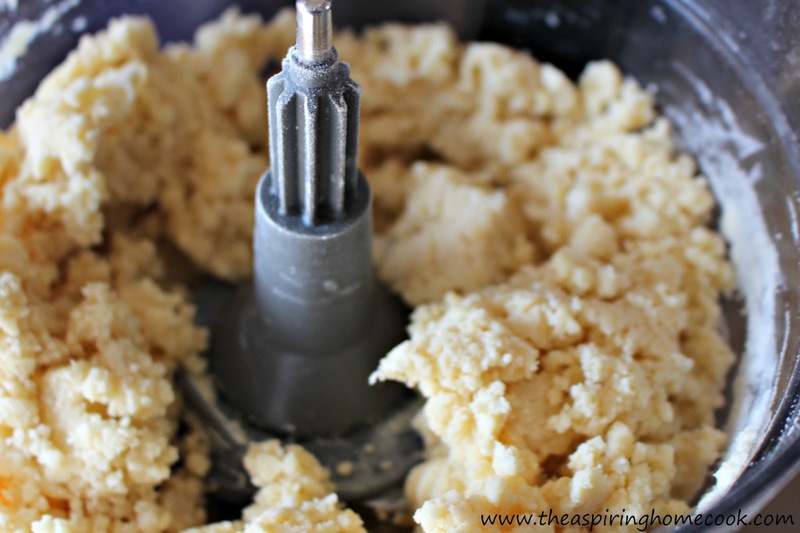 The pastry and the filling comes together in the food processor. 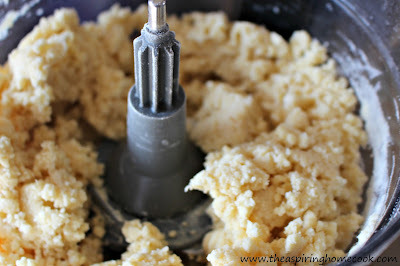 The food processor was used mainly out of necessity. 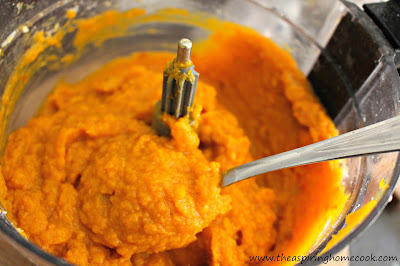 I'd sprained my wrist a few days ago and there was no way I could have knead the dough or mashed the pumpkin by hand. I was amazed at how easy it was. 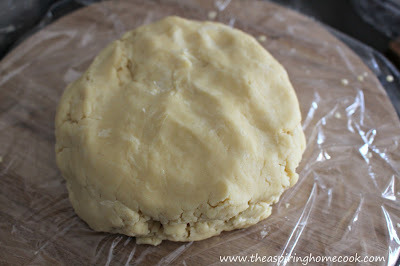 I may never go back to making shortcrust pastry any other way. I do hope you try baking a pumpkin pie from scratch this year, especially if you haven't done so before. It is so satisfying, you'll be glad you did. I left the pie just as it was baked and didn't even cover the little knife test mark, because I didn't want to over sweeten it by adding any icing sugar on top. You could dust it with some icing sugar if you'd like. If you want to make it more indulgent, top it with some whipped cream or serve it with some ice cream if you'd like. We tried that, but loved how it tasted by itself. And trust me, it tasted even better the next day. So make it a day or two before you need it (think Thanksgiving dinner), and once it has completely cooled down, refrigerate till you are ready to serve. The pie is beautiful - the pastry is perfectly flaky and the filling spiked with warm spices is silky smooth. You can either use small pumpkins or a wedge of a larger one, whatever you can get your hands on. I used about 1/3 of a Kent Pumpkin. Cut into equal sized wedges. Leave the skin on. 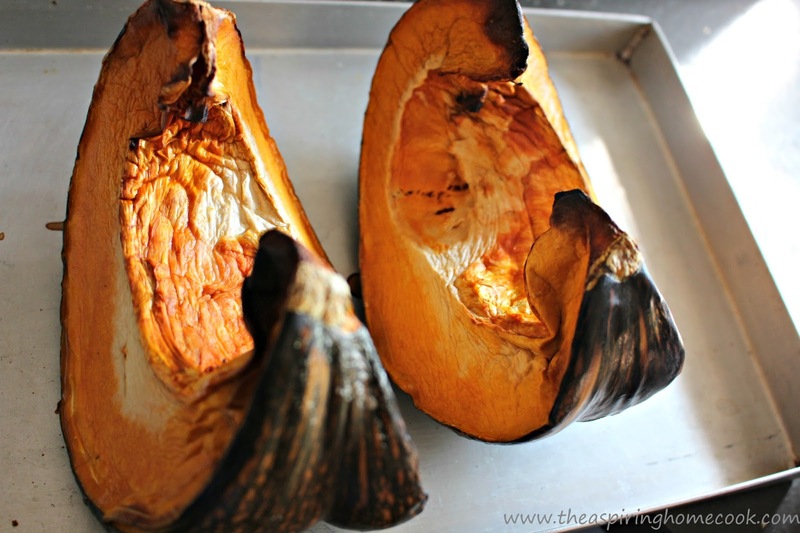 Scoop out the insides - the seeds and the membrane. Let the pumpkin cool. 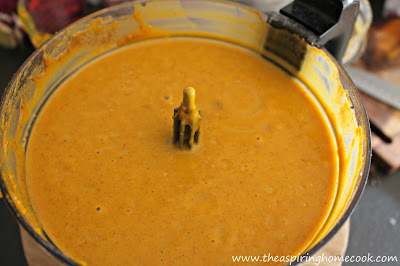 (I left it to cool overnight and made the puree the next day.) Peel the pumpkin or scoop out the flesh, whatever you find easier, and place the pumpkin in a food processor and blitz till done. If it looks too dry, add a couple of spoons of water and blitz again. What you are left with is a glorious bowl of fresh pumpkin puree. Once you have your pumpkin puree, you can use it to make anything pumpkin you'd like - Pumpkin pie, pumpkin doughnuts, pumpkin cake / cookies, pumpkin rolls and the list goes on. Now, let's get on to making the Pumpkin Pie. Place the flour and butter in the food processor. 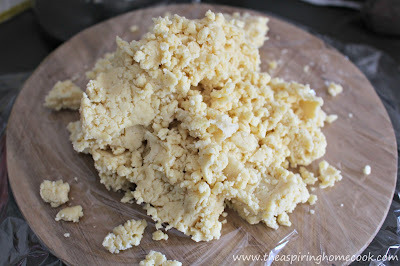 Pulse a few times till the butter has broken down and you're left with a mix that looks like this. Add a couple of spoons of cold milk to help bind the pastry and pulse a couple of times till you are left a mix that looks like this. Start with a spoon or two and add more if needed. 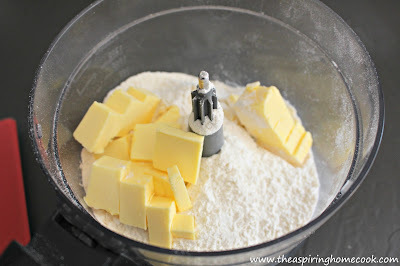 Place some clingfilm on your work surface (lesser clean up this way) and tip this mix on top. 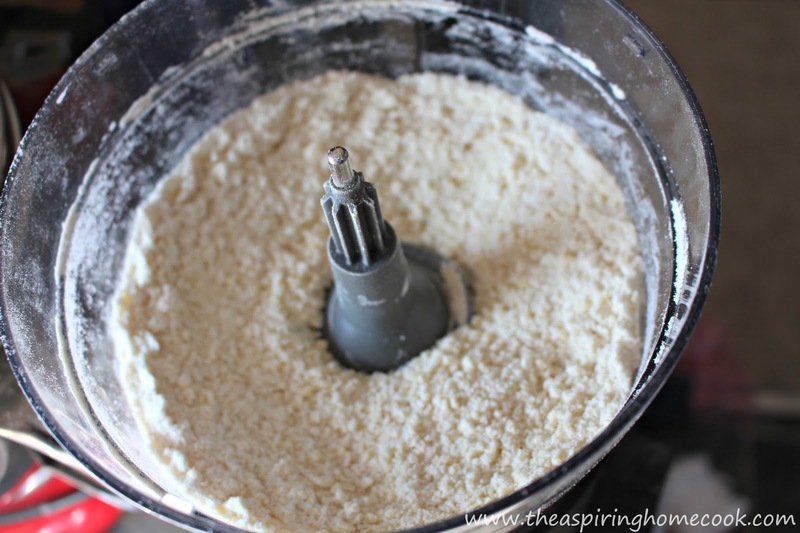 Press together to form a dough. Don't knead or overwork the dough. 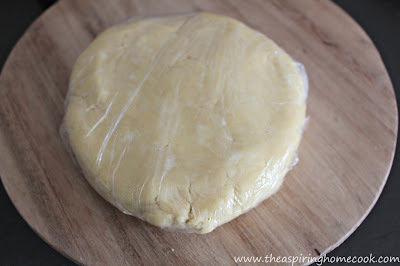 Wrap it up in the same cling film and refrigerate for about half an hour. While the dough is chilling, make the pie filling. Place all the ingredients in the food processor and blitz till everything is well incorporated and smooth. Take the dough out of the refrigerator and roll to a disc large enough to cover a 9 inch pie dish. 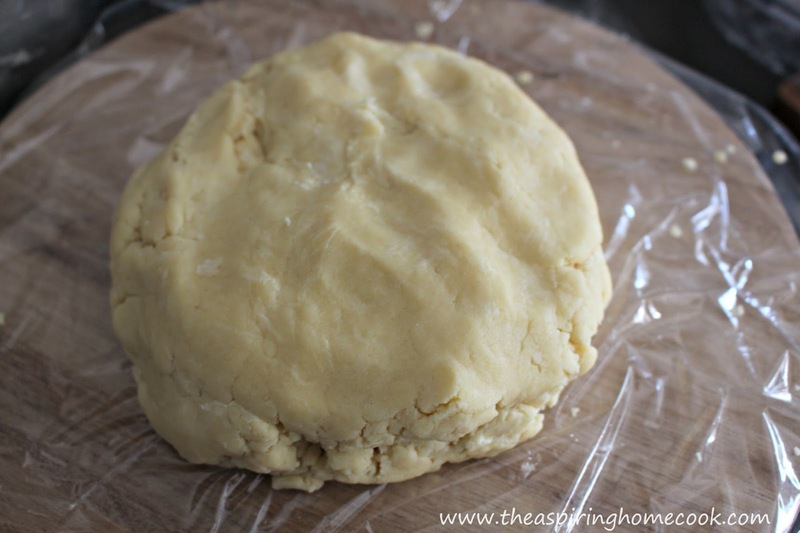 Line the pie dish with the dough and pour in the filling. Cover just the edges of the pie crust loosely with foil to keep it from burning. Bake for 50-60 minutes or till a knife pierced through the center comes out clean. Take the foil off in about the last ten minutes to let it evenly brown. Cool and cut into wedges and serve. 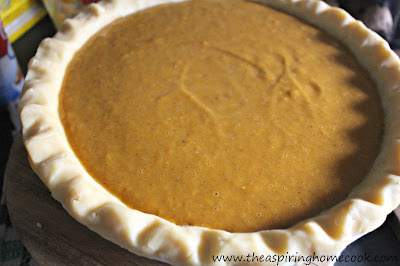 This Pumpkin Pie will be amazing! Hope you have a great weekend and thanks so much for sharing your post with us at Full Plate Thursday! Your post is featured on Full Plate Thursday this week. Thanks so much for sharing your awesome post and your talent with us. Enjoy your new Red Plate and your weekend!